Is their a David facilitator in Nigeria? What will i need to do to become a David Facilitator in Nigeria? All Davis Facilitators are listed at https://www.davismethod.org/ — there is a map on the home page as well as geographic links so that it is easy to determine where facilitators are located. There currently are no Davis Facilitators in Nigeria. To become a facilitator, a Nigerian would most likely choose to travel to South Africa for training. Many very bright children struggle due to dyslexia, but do not qualify for a formal diagnosis or support in a school setting because they are not falling behind enough. 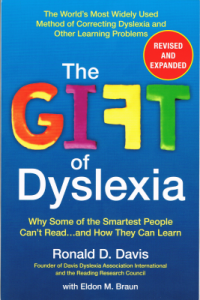 The methods described in The Gift of Dyslexia are particularly helpful for kids like that, who often experience radical improvement when introduced to the Davis tools. With a very bright and motivated youngster, you may find that it is possible to work very successfully just following the detailed instructions in the final chapters of the book. However, you can also consult with a Davis Facilitator — a formal diagnosis is not required. If the child feels that he has a problem and wants help, then a Davis program probably will give him the tools needed to overcome that problem.